Hey, everyone! Have you visited the Label Tulip girls' gallery yet this month? Amazing creations by the team, and I'm always amazed at how different everyone's work is! 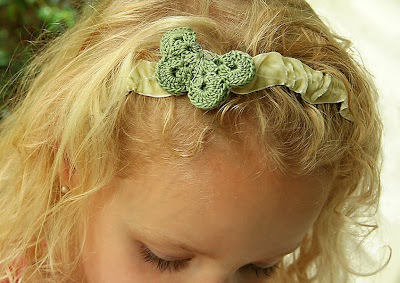 I wanted to share how I made the headband with the beautiful Etsy butterfly and gorgeous ribbon in the September kit. It's extremely easy and I really love the custom look. I used a store bought headband and a hot glue gun! I simply wrapped the ribbon around the headband, hot gluing a little bit at a time and hot glued the butterfly on last. My daughter just loves it and has been wearing it non-stop! I will have to make more of these. Thanks for stopping by! That is just so super adorable Danielle!! I might make one for my niece!! That is super cute, Danielle! That's really cute. I too make headbands. So fun and easy! 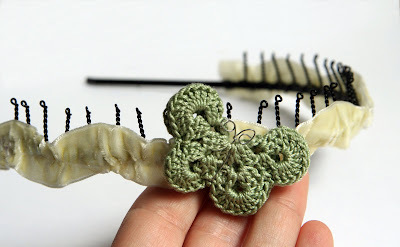 That is such a cute, fun project!